Ever see a room like the one below that has vast potential but is in need of a major pick-me-up? As in this case, perhaps the ceiling of a formerly beautiful space has suffered from water damage. Or, perhaps you move into a house with a dreaded drop ceiling in the basement and you desperately need a basement ceiling solution. Armstrong - the renowned name behind the popular residential and commercial flooring lines - has recently released a residential ceiling line with a wide variety of attractive, affordable, and easy-to-install ceiling and backsplash solutions for homeowners. You may ask, so how could Armstrong Residential Ceilings help me fix a ceiling problem like the one shown in the photo above? Here's how...with a ceiling solution just like the one shown below. Wouldn't a coffered ceiling similar to the one installed in this gorgeous kitchen be the perfect solution for the formal office space featured above? 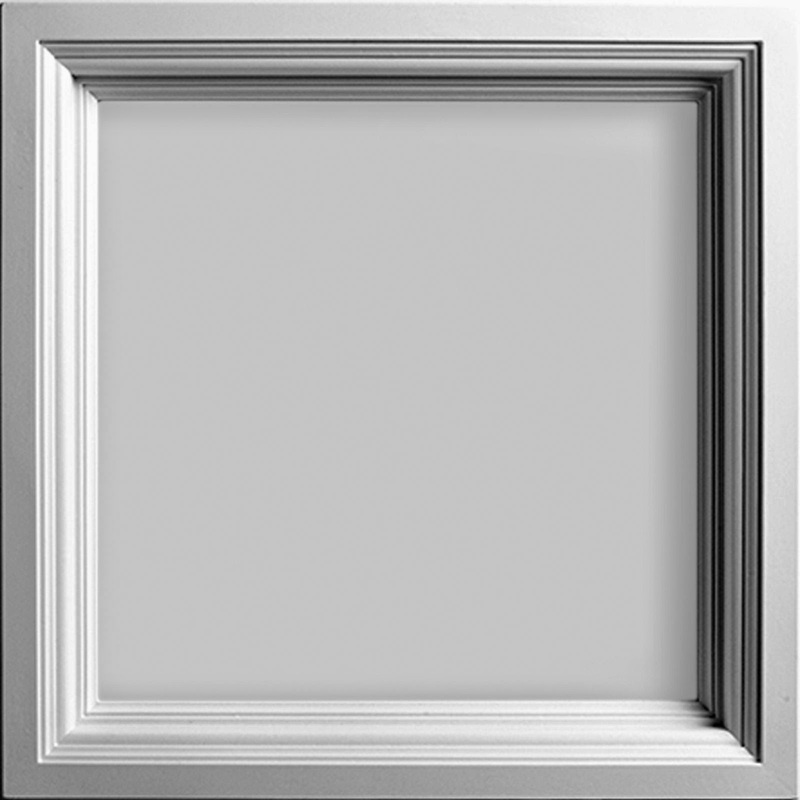 It's called the Easy Elegance Coffer Ceiling - made up of 24"x24" ceiling tiles installed in a standard ceiling suspension system/grid. 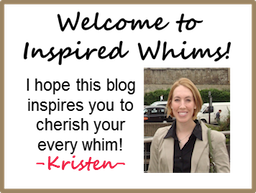 It would take the office from dowdy and drab to sophisticated and chic, providing great architectural detail that adds such character to the space. 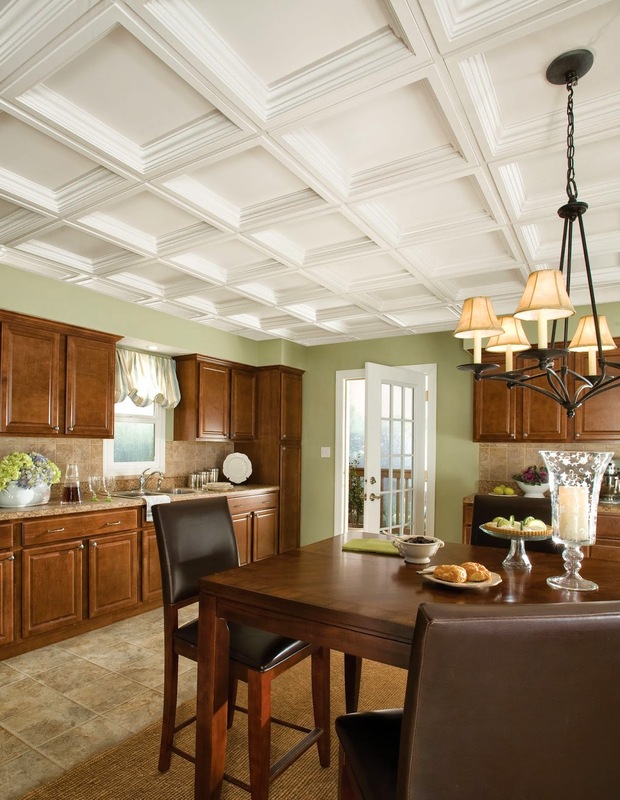 The coffered look would also look divine in a formal dining or living space. I just love the charm it adds to any space! 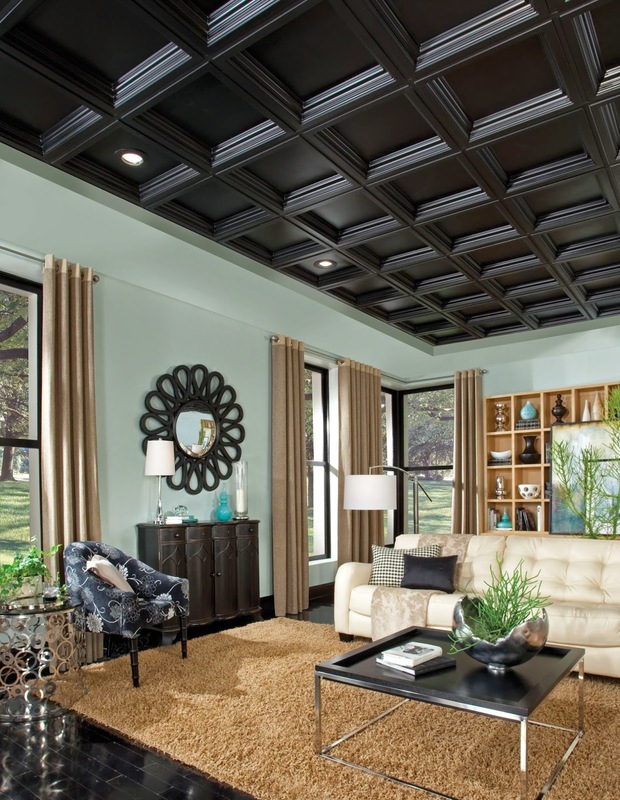 If you like the coffered look but are feeling a little more bold and/or appreciate a more modern look, you could opt to install Armstrong's Easy Elegance Coffer Ceiling tiles in black as shown in the dramatic formal living space below. Isn't it fabulous? It would also look great in the above office - it's a far more daring choice but I absolutely love it. Depending on your needs and style preferences, Armstrong also offers tin backsplash options, wood ceiling options, and beadboard ceiling options...all of which are easy to install like the coffered tiles I showcased above. 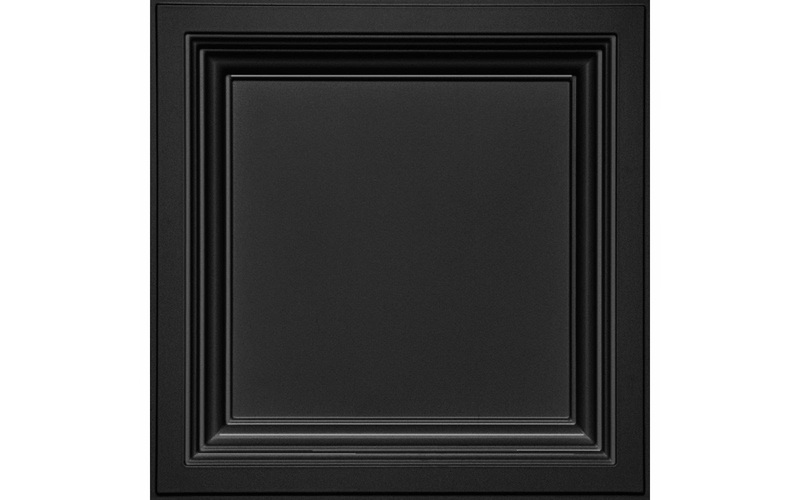 After being introduced to Armstrong Residential Ceilings, I'm officially planning ahead for a few ceiling projects in the next home I own...whenever that may be.